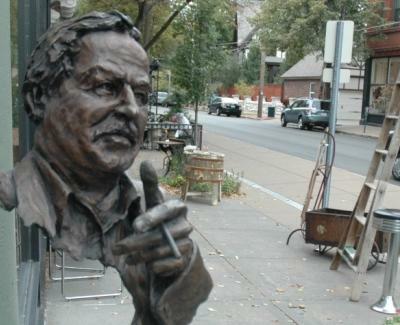 Tennessee Williams is one of two writers already represented at the corner of Euclid and McPherson avenues in the Central West End. The history of St. Louis’s Central West End is steeped in literature. The area is tied to four of America’s most famous writers: T. S. Eliot, Tennessee Williams, Kate Chopin and William S. Burroughs. But until recently, the neighborhood had no official tributes to the literary greats. As part of Word Missouri, an ongoing series about Missouri’s literary heritage, KBIA’s Davis Dunavin looks at one neighborhood group’s efforts to change that.